Jacqueline Huntoon, provost and senior vice president for academic affairs, is the principal investigator on a project that has received a $385,136 grant from the State of Michigan, Department of Education. Stephen Morse (left) accepts the ASTM Award. 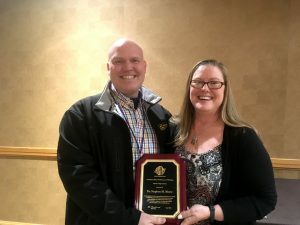 Stephen Morse was awarded an American Society for Testing and Materials (ASTM) International Committee Award of Appreciation for his outstanding contributions to the Standard Practice for Determining Load Resistance of Glass in Buildings (E1300) and the Subcommittee (E06.52) on Glass Use in Buildings. He was recognized for his work on greatly improved design methodologies for architectural window glass. Morse holds a joint appointment as an assistant professor in the Departments of Mechanical Engineering-Engineering Mechanics and Civil and Environmental Engineering. The Graduate Student Government (GSG) hosted the 11th Annual Graduate Research Colloquium March 27 and 28, to celebrate the hard work and outstanding achievements of our graduate students. The event has grown from a one-session event with a handful of participants into a two-day event with a record 85 participants, representing 17 academic schools and departments. The event ended with an awards banquet honoring presenters, award nominees and three new awards recognizing departments for supporting graduate education. 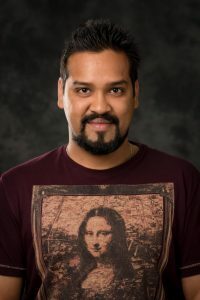 Congratulations to the 2019 graduate student recipients for their outstanding accomplishments. The Graduate School sponsors three awards to honor students that have committed an extraordinary amount of time to their studies, instructing others or serving the graduate community. These awards include: Outstanding Graduate Student Teaching Award, Dean’s Award for Outstanding Scholarship and Graduate Student Service Award. 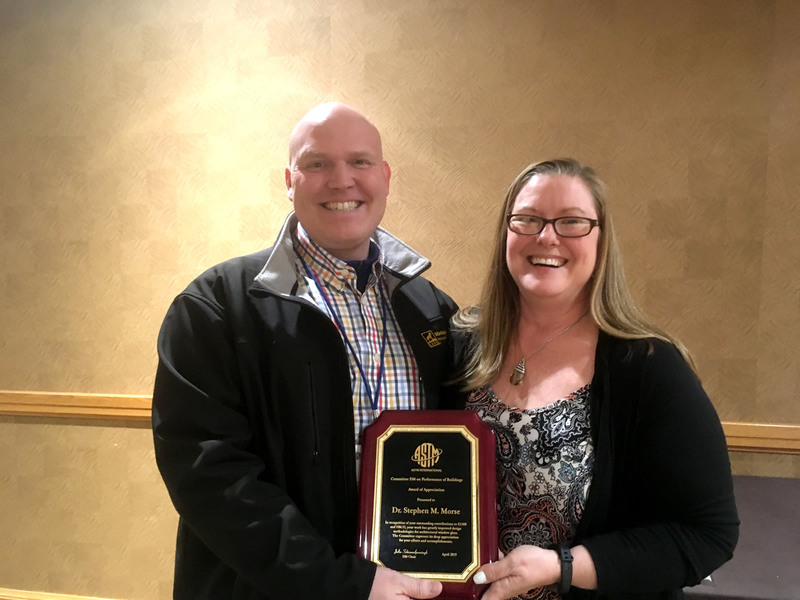 The Graduate Student Service Award is given to graduate students nominated by the Graduate Student Government Executive Board for their outstanding contributions to the graduate community at Michigan Tech. 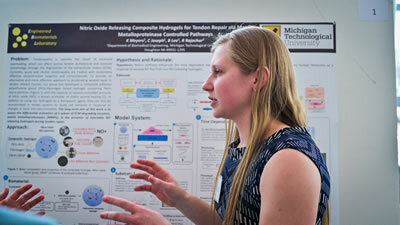 Michigan Tech is a member of the Midwestern Association of Graduate Schools (MAGS), which solicits nominations for its Excellence in Teaching Award and Distinguished Master’s Thesis Competition. The MAGS Excellence in Teaching Award participating schools are able to nominate one master’s and one doctoral level graduate students who exemplify excellence in the teaching/learning mission of our university. The MAGS Distinguished Master’s Thesis Competition recognizes and rewards distinguished scholarship and research at the master’s level. Michigan Tech is also a member of the Council for Graduate Schools/ProQuest and recognizes nominees for having completed dissertations representing original work that makes an unusually significant contribution to the discipline. The GSG sponsors an Annual Merit Awards Program consisting of four awards that honor the exceptional work of one staff member, one graduate mentor and two graduate students. The recipients of these awards were nominated by their fellow graduate students and selected by the Graduate Student Government Executive Board. Congratulations to award recipients and nominees and a huge thank you to all the presenters, judges, volunteers and GSG supporters for helping make this one of the largest colloquiums in GSG’s history. By Graduate School and Graduate Student Government. 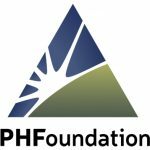 Fourteen students have been awarded the Portage Health Foundation Making a Difference Scholarship. The scholarships are part of a Michigan Tech-Portage Health Foundation partnership established in 2015 to support health education. 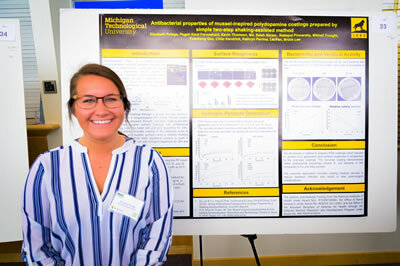 This year’s recipients have an average GPA of 3.8 and represent the breadth of health-related research happening on Michigan Tech’s campus. “It is the synergy between the Portage Health Foundation and Michigan Tech University that allows this fruition to occur,” she added. At the recent awards dinner, scholarship recipients and faculty members had the opportunity to hear from current students, Allie Waara and Elisha Earley, both PHF undergraduate research interns; and Alexa Destrampe, a Portage Health Foundation and Randy Owsley Memorial Athletic Trainer Scholar. “We are especially grateful to the Portage Health Foundation for their support of our students through the Making a Difference scholarship program,” said Michigan Tech President Richard Koubek. 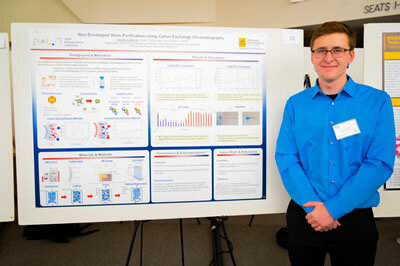 The 2019 Undergraduate Research Symposium (URS) was held on Friday, March 29th, in the lobby of the Rozsa Center for the Performing Arts from 1-5 p.m. 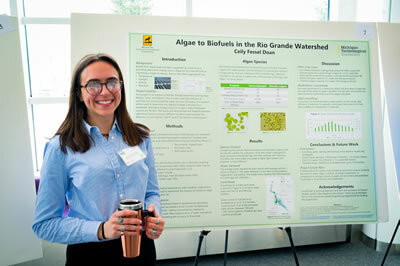 The URS highlighted the amazing cutting-edge research being conducted on Michigan Tech’s campus by some of our best and brightest undergraduate students. 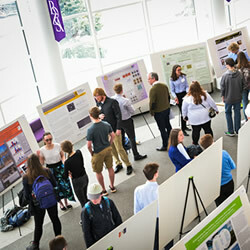 The Pavlis Honors College hosts undergraduate researchers and scholars from all departments, schools and programs to present abstracts for presentation at the URS. 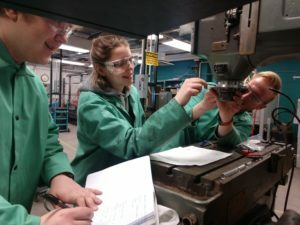 A partnership between Michigan Tech and Lightweight Innovations for Tomorrow (LIFT) was featured in the story “LIFT Partners with Michigan Technological University to Support Students in Advanced Manufacturing,” in Lift Technology. 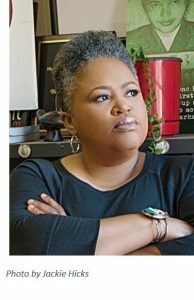 HOUGHTON — Water should be considered a basic human right, said Monica Lewis-Patrick. But in many cases, its commodification has made reliable access out of reach of struggling households. Lewis-Patrick, the co-founder, president and chief executive officer of We the People of Detroit, delivered the keynote address Monday, March 25, 2019, as part of Michigan Technological University’s celebration of World Water Day. Addressing the prospective engineers in the room, Lewis-Patrick urged them to move beyond mere equations and schematics. “What we know, is that if you will serve humanity, and you begin your conversations for solving those problems with talking to the most impacted community first, I think we can get to these solutions much quicker and with fewer casualties,” she said. Read more at the Mining Gazette, by Garrett Neese. 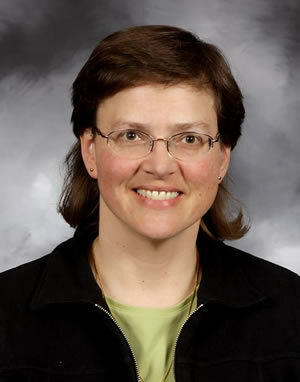 This week, the Deans’ Teaching Showcase returns to the College of Engineering where Dean Janet Callahan has selected Faith Morrison, professor of chemical engineering and associate dean. Callahan chose Morrison not only for her excellent and innovative teaching, but also for extensive historical involvement in academic advising and planning for assessment, especially for Accreditation Board for Engineering and Technology, Inc. (ABET). One such contribution that has clearly been well received is a series of YouTube videos published by Morrison on rheology and momentum transport, several of which have more than 100,000 views. Morrison will be recognized at an end-of-term luncheon with other showcase members, and is now eligible for one of three new teaching awards to be given by the William G. Jackson Center for Teaching and Learning this summer recognizing introductory or large class teaching, innovative or outside the classroom teaching methods, or work in curriculum and assessment. By Michael R. Meyer, Director William G. Jackson Center for Teaching and Learning. 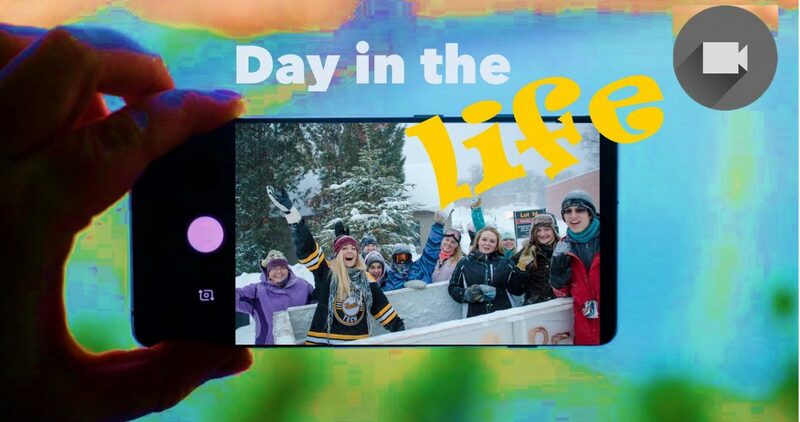 Submit your Day in the Life video by April 2! Win cash prizes—up to $5,000 awarded! Students in all majors are welcome to compete. 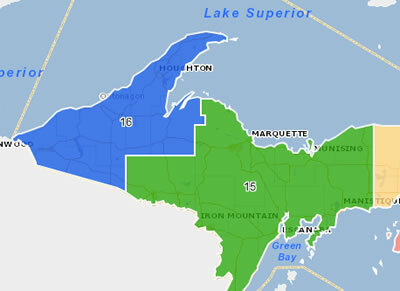 Competition is now open to Michigan Tech graduate students! Enrolled Michigan Tech undergraduate students are invited to participate in a new campus-wide video competition. Give us a glimpse into your day as a Michigan Tech student. Create a short video with highlights and interesting moments that capture some of the essence of your activities in this unique environment. Competition opens March 18, 2019. Submission closes midnight April 2, 2019. There will be multiple $300 and $100 prizes, up to $5,000 in total. The aim is to generate a Day in the Life for all majors, reflecting a diversity of perspectives. Clean humor, tenacity, fun—the Tech experience! Participants are asked to read the guidelines and follow the rules. The competition is open to full-time undergraduate students in all majors and to all full-time graduate students in all programs. Record your video March 18 – 29, 2019. Use only original footage which you own. Observe licensing requirements for audio effects. Videos should be 2-5 minutes in length. Videos must be in a standard format: MP4 or MOV. Use a horizontal or landscape orientation. Videos should be high definition: 720p or 1080p. Do not video people who request not to be in your video. Participants are responsible for arranging interviews or obtaining permission for in-class recording. Upload your video to your Michigan Tech Google Drive for proper sharing and authentication. Only one submission per student is allowed. The due date is April 2, 2019, by midnight. The University or College of Engineering may edit your winning video and use it in marketing platforms. Winning participants are asked to cooperate with follow-up clarifications on captioning or transcripts. Use your own video camera. A camera phone is fine. Introduce yourself in the video. First name only is OK.
Use your own voice and style. If you are looking for guidance on tone and message, the Michigan Tech Brand Guide is available. The mood of the video should be light. Include humor and surprises! Participants can utilize a team or group for this video project, but only the focus student will be contacted or awarded. You can get help with video editing. Show student activities, dorm life, the local area, and campus. Be realistic and optimistic. Have clean fun. To find Google Drive, login to your Michigan Tech gmail and go to https://drive.google.com/. Choose + New in the upper left corner and select File upload. Upload the video and select it. Choose the person + icon in the upper right corner (Share). Submit that as the Link to Video on Google Drive in the submission form. Hosted by the College of Engineering with sponsorship from schools and departments across campus. Contact engineering@mtu.edu with questions. 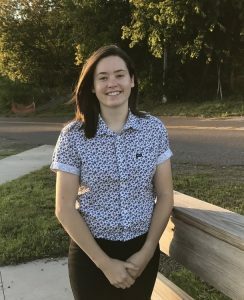 In recognition of her scholarly achievements, the Department of Mechanical Engineering – Engineering Mechanics has selected Amanda Kautzer for the 2019 Department Scholar Award. She was selected from eight strong candidates nominated by ME-EM faculty. Kautzer will be recognized at the 25th Annual Student Awards Ceremony on Friday, April 19. 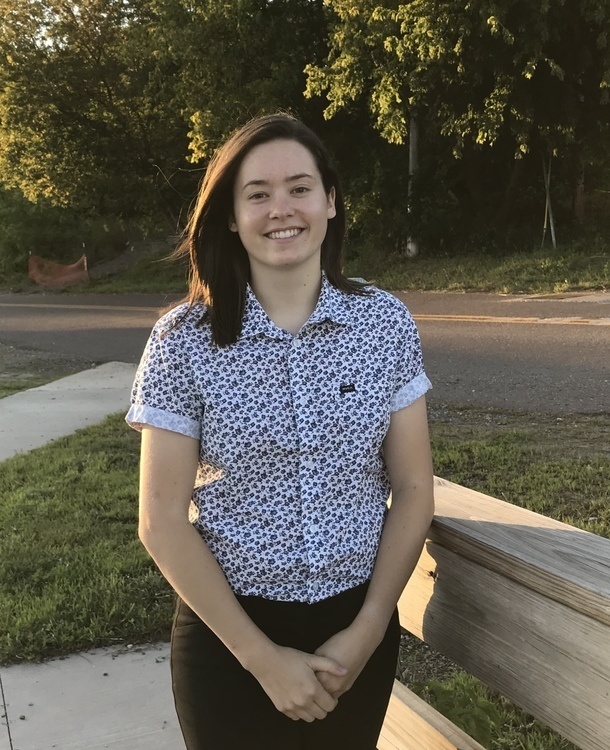 Kautzer has also been nominated for the Provost’s Award for Scholarship, with enthusiastic support from her enterprise adviser Brett Hamlin and her research supervisor Rupak Rajachar. Thanks to everyone who submitted nominations, we will consider the nominated students not selected for other student awards and recognitions.